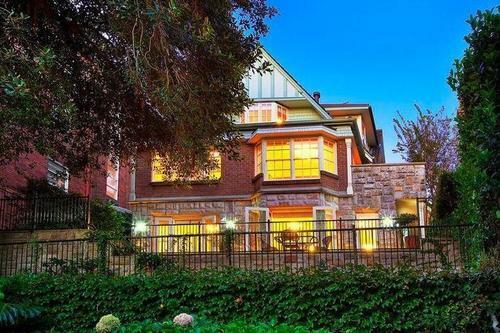 The harbourfront reserve estate Belvedere is up for more than $11 million. 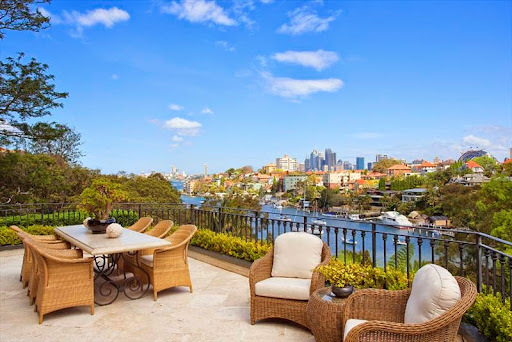 Impressive property: Milson Road, Cremorne Point is arguably one of the largest homes in the area. 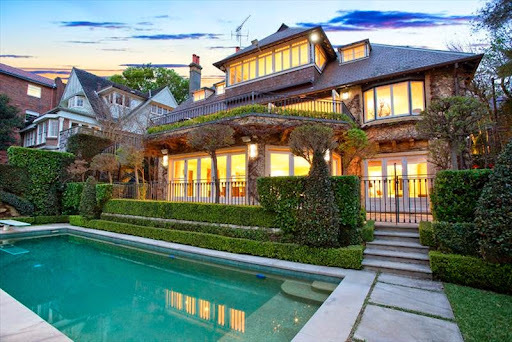 The grand manor-style residence is owned by Joanne Mellor-Stuart and international banker Andrew Stuart, former co-chairman of Goldman Sachs Australia until he co-founded boutique corporate advisory firm BKK Partners in 2009. It last traded in 2003 when it was bought from landscaper Anthony Tisch, but not before he had his way with what is now an impressive European-style garden. 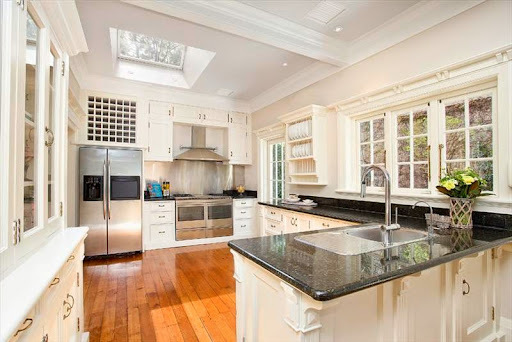 An excellent Arts and Crafts style house reminiscent of the English antecedents of the style. 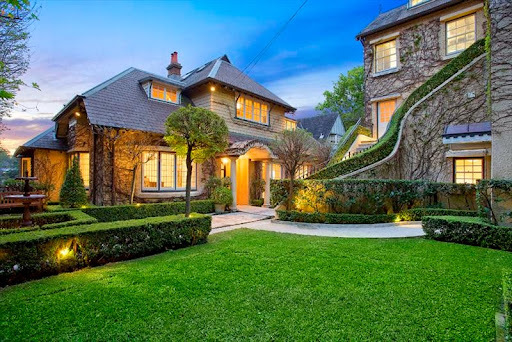 It is part of a collection of large and well-designed houses that, taken together, characterise Cremorne Point and showcase their styles. It relates well to its site adjacent to the Reserve and its harbour aspect. One storey residence with upper-storey wing of attic rooms defined by the intersecting hip roof. The c1920 house which is constructed in rough-cast stuccoed brickwork, incorporates plain leadlight windows, multi-hipped slate roof and terracotta chimney pots. Architect unknown. The house is sited on the Western side of Cremorne Point fronting the reserve and viewing over Shell Cove.This building is designed in the Federation Arts and Crafts style. 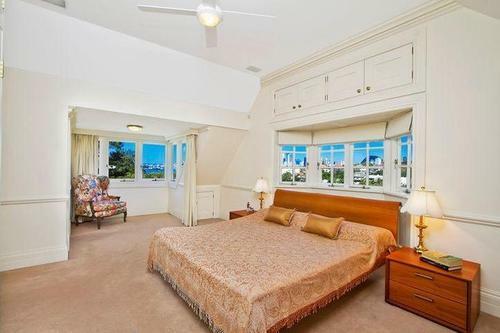 This house is assessed as historically representative locally. This house is assessed as aesthetically representative regionally. This house is assessed as socially representative regionally. 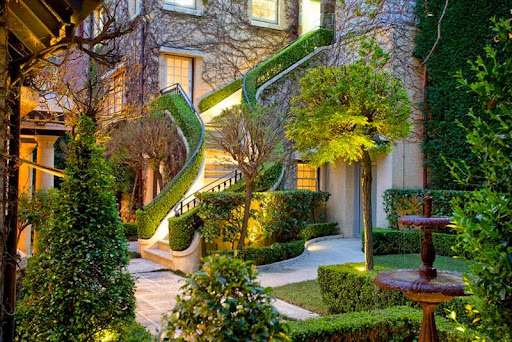 It last traded in 2003 for $7.25 million when it was bought from landscaper Anthony Tisch, but not before he had his way with what is now an impressive European-style garden. 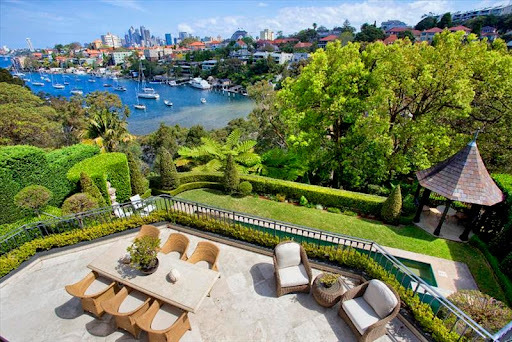 Having undergone a full restoration, the impressive property is arguably one of the largest homes on Cremorne Point. 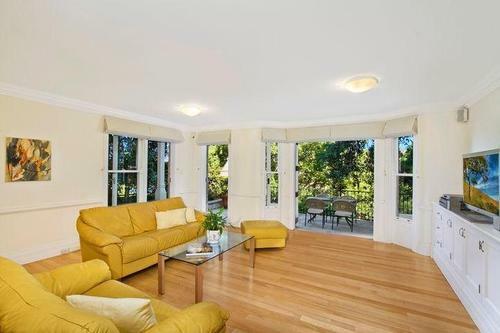 Ray White Lower North Shore’s Kingsley Yates has the listing. 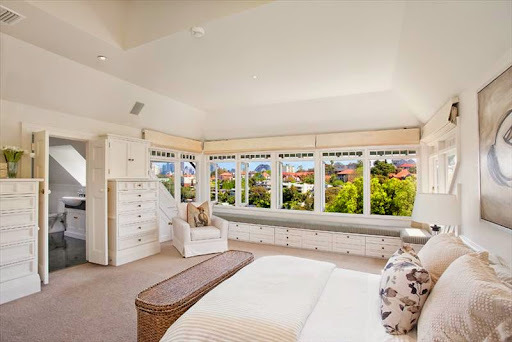 One of Sydney’s most enchanting estates, ‘Belvedere’ overlooks picturesque Shellcove Bay with a glorious panorama over the Harbour Bridge and city skyline creating a spectacular backdrop to all three levels. 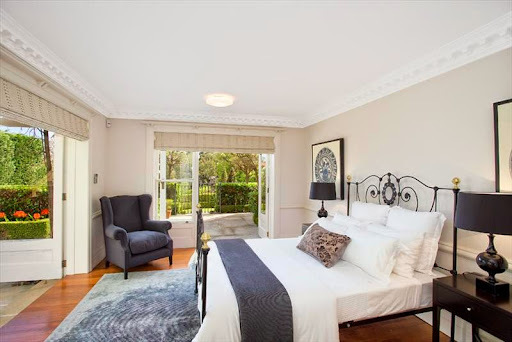 One of only a few manor homes remaining on the harbour side of the road, this significant estate has been lovingly restored and revived to create a magnificent family residence of enduring appeal. 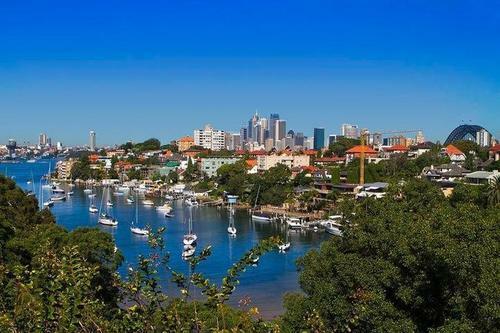 Secluded amid breathtaking grounds on a rare approx 1,000sqm, it fronts onto Cremorne Point harbour reserve and features every contemporary luxury complete with a grand main residence, self-contained guest wing, nanny quarters or studio and resort-style entertaining haven. Perhaps the only thing the Radical Terrace loves more than the finished product of a good flip is a home that’s ripe for a good flipping. 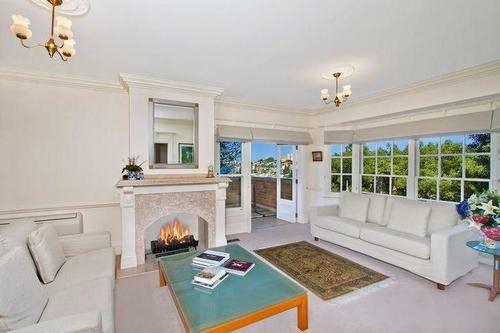 Enter an inter-war Arts and Crafts fronting a reserve park above Sirius Cove situated on a generous 1300sqm parcel. 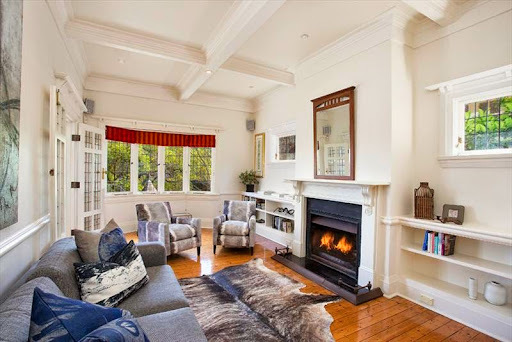 The heritage-listed home at 138 Milson Road possesses a transecting gable roof clad in concrete tiles and aesthetically-pleasing projecting bay windows. It last traded hands in Aug 2005 for $4.2mand has not been changed one bit since. 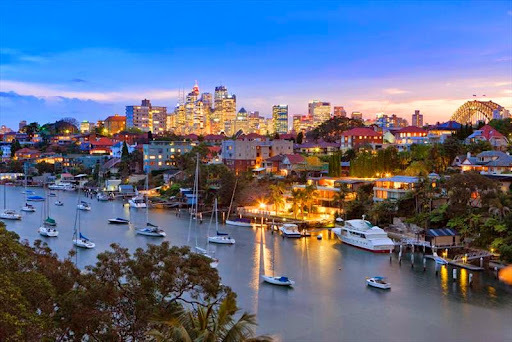 Current listing agents Matthew Smyth and Emma Binskin of McGrath Lower North Shore are shopping the home around with $5m+ expectations, a surprisingly fair price when the Radical Terrace backs away from a potential future value of the home. 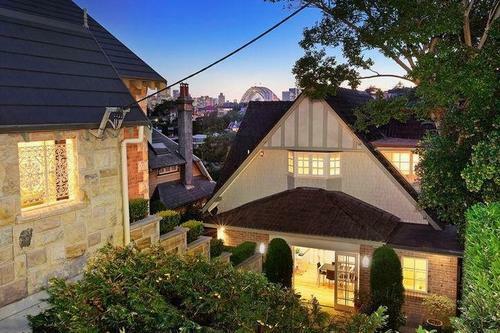 The case for the flip is many-fold: large existing footprint, Harbour Bridge views, Reserve-front position, being one of the few single-family homes on the harbourside of Milson Road (most have converted to apartment blocks), a large parcel of land. 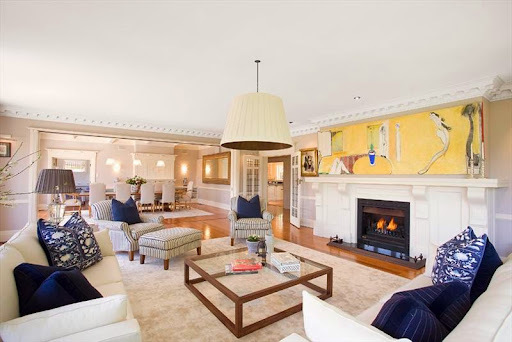 But perhaps most importantly is the $7.25m sale of next-door neigbhour #136 back in Dec 2003. 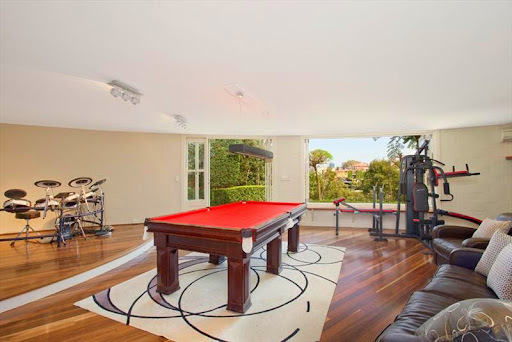 Granted, 136 Milson Road is more architecturally distinguished with its rusticated brick exterior, features a pool, and sits on a slightly larger block, but it still maintains a solid high-price precedent for the stretch of Milson Road. The downsides of this property? It’s view is blocked by heritage-listed trees (those damned trees!) making for a slightly awkward south-west view corridor. Also, the garaging manages the best view of the property with the remainder of the house sloping down from the street. That said, whomever the owners were at the time of the garage addition managed to integrate the home decently well into its hillside position. Although there are some wonky aspects to the floor plan, it’s mostly an easy fix. 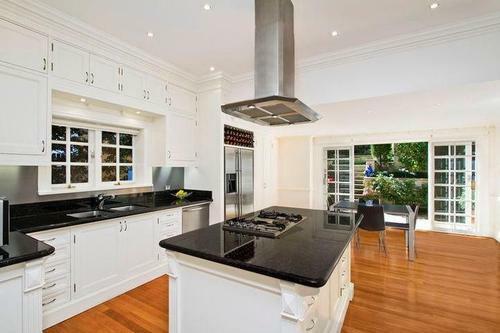 At the very least, a complete change of interior materials and fitout would dramatically increase the home’s value. At the very most, the addition of a pool and the reconfiguration of the floor plan to orient itself more toward the harbour (and the transformation of the entire upper level into a large master bedroom) would all add even more value. 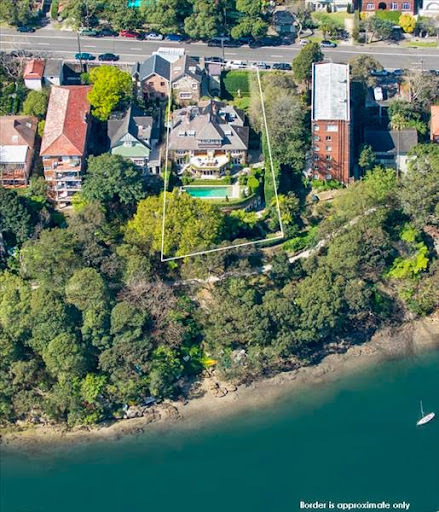 It may never be a $15m home closer to the tip of Cremorne Point with a less obstructed view (hello, 33 Milson Road), but at it’s best, 138 Milson Road is an $8.5m abode; and it’s worst (which it’s not), it’s a $3.8m shack; but right now, it’s a $5m+ home looking for a flip.